Yeah, but: It could be better - but how? 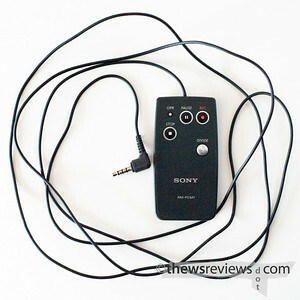 The Long Version: The Sony PCM-D50 is a great audio recorder, tough with good sound quality. One of its nifty features is a five-second preroll buffer, meaning that it can capture sounds that happen when the recorder is running but paused. All you need to do is hit the 'pause' button without spoiling the recording with handling noise, and that's where having a remote comes in. The RM-PCM1 is a simple little device, being a thin remote on an equally thin 6-foot long cord. It has buttons for pause, record, stop, and divide, and a light to show when the recorder is rolling. 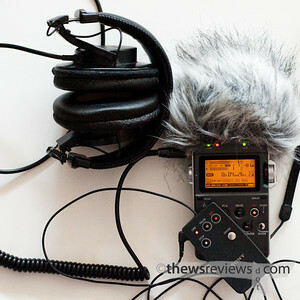 Simple, straightforward, and does everything needed to control the recorder during capture. It even has a right-angle connector, which I love. But despite its seeming usefulness, the RMPCM1 remote isn't an easy recommendation. For one thing, it doesn't really feel like a Sony product, certainly not in the same league as the D50 and D1 recorders that it mates with. The cable is thin and slightly insubstantial, leaving an expensive accessory feeling almost cheap. The other issue is that it's something of a nuisance to use. The six-foot long cord is too long to use while close enough to monitor the levels, and if you want to monitor the audio from the end of the remotes' reach, you'll need an extension for your headphones. Using a reliable radio-frequency wireless system would be a huge improvement, even if it adds to the already nontrivial cost. So get the PCM1 remote if you'll need to be able to control the PCM-D50 or D1 from a moderate distance, or if the preroll buffer is an important part of how you'll use the recorder. Otherwise, give it a pass - it really doesn't add anything for normal use. Actually, if it was me, I would keep the wired interface and expand the remote control. Wireless is not that great, except in your home or an air-conditioned office. In those environments you don't have to content with the rest of the wireless world. Wireless also chews up power, on both ends of the connection. The better solution (IMNSHO) would be to expand the wired remote with two key features: a socket for the headphones on the remote, and a simplified repeat of the meter (display). You'd thus plug the headphones into remote, reducing the cable clutter going back to the recorder. The simplified meter does not have to have every single bit of information, just the levels, and those in simplified format themselves. The number of traces in the connecting cable would be increased to a ground, power, audio signals, and one or two data lines with simple (i.e. embedded SoCs) at both ends to encode control and data to ship around. Would it add to the cost? Absolutely. Would it make it easier to remotely control? Again, absolutely. The cables going back to the main unit would be cut in half (two to one) and you wouldn't need to hover over the main unit to check the audio levels. That doesn't mean you wouldn't have to go back to the main unit to adjust something, but it's a difference of always having to go back vs going back only when you need to.